Adjustable size electrode placement armband with tDCS device pocket! This awesome adjustable armband allows you to easily try montages where one electrode must be placed on the upper arm. Adjustable velcro arm band, size large. Two fastening sizes supports most upper-arm girth from 8” to 16”. 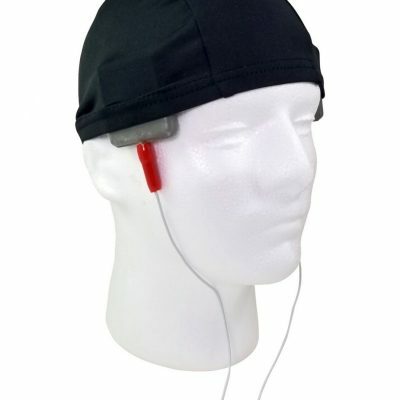 Convenient device pocket takes your tDCS sessions completely hands free! Included cable pass-through hole allows you to thread your electrode cables through the pocket to your tDCS device. The 2nd front pocket is perfect for storing your electrodes or other accessories when not in use. Wear it at home, at the gym, on a run, or to dinner with your in-laws! tDCS is now 100% on-the-go!